When smell becomes a way to see the past, to remember some dear people who are no longer with you, to unlock long forgotten memories and live through the happy moments once again, only then can the work of Roberto Greco be fully understood and given the recognition it deserves. Best known for his commercial work where he often photographs perfumes, the artist also works in a more personal artistic direction, where he explores the still life and adds a personal touch with bottles of perfume and some unexpected details, all of them making his artworks more unique. His style can be described as Pictural and Naturalist, and the reason why he is a photographer is his fascination with light. The inspiration for his photographs originates in his childhood, and it came from watching the light entering the room in a very interesting way through the closed blinds. Every single artwork possesses richness, depth and a sense of dark luxury. In addition, details like contrast of colors, the unexpected juxtapositions, and all those small things hidden in the beginning but reveal themselves upon a second or third viewing. 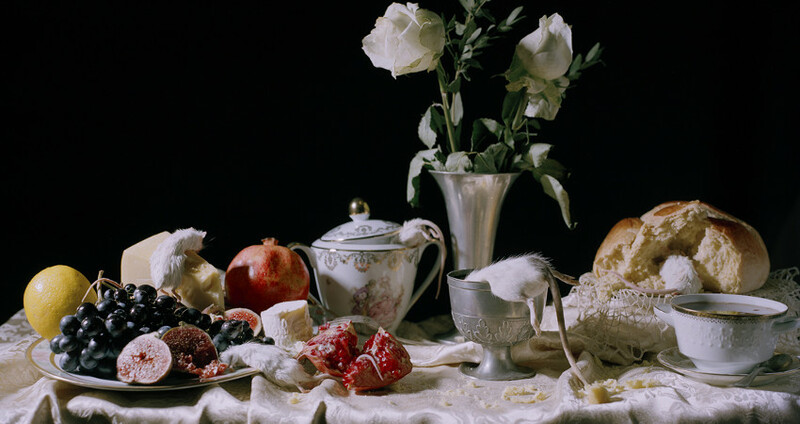 The stereotypes of classical still life are broken by adding disturbing and for most people disgusting elements, like rats. Greco certainly has a distinctive sense of humor, and he doesn’t lack the cynicism as well. The commercial side of his work includes perfume houses hiring him to shoot their products. These collaborations are very different one from another, as each individual client wants specific things, and Greco is simply trying to respond to their requests. Sometimes he’s given a carte blanche, and other times he has to make compromises with his clients. One way or another, these commercial work is equally unique as his own art. Roberto has south Italian origins but was born in Geneva. 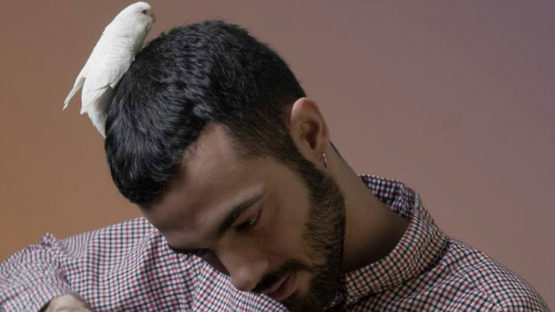 After a CFC as a photographer at the Academy of Applied Arts Vevey in 2007, he graduated in Visual Communications, Photography Department at the Cantonal School of Art and Design, Lausanne (ECAL) in 2010. His journey as an artist started as a child when his mother sprayed perfume on his pillow to help him to wait for her through the long holiday absence. That’s when he first connected face and emotions with the smell. Everything around him, plants or animals, had its own smell and all that fascinated Roberto. Every smell is an image that stays forever in his mind. The fact that he is now an artist helps him as he tries to transcribe all those smell into his artworks. Greco knows what he’s trying to express through his work, and is inspired by everything around him. Everything that has a smell, at least. In some of the recent shows, he sprays certain perfumes in the galleries, trying to bring the idea behind his work closer to the viewers. They are intrigued by the visual look of his photographs, and by adding the element of smell the artist truly invites them into his own world. Roberto Greco splits his time between Paris and Geneva. All images copyright © Roberto Greco.